Two Canadian pension plans are part of a consortium that purchased South Korean supermarket chain Homeplus from British retailer Tesco for around US$6 billion on Monday. The Canadian Pension Plan Investment Board said it spent US$534 million for a 21.5 per cent stake in the company. The Public Sector Pension Investment Board, which manages investments for the federal public service and the Canadian Forces among others, was also a part of the deal but did not disclose its contribution. The deal is expected to close in the fourth quarter of 2015, pending approval from the South Korean government and Tesco's shareholders. Homeplus is South Korea's second-largest retailer, with more than 1,000 outlets across the country. It was originally founded as a joint venture between Samsung and Tesco in 1999. South Korean private equity firm MBK Partners led the deal and said the consortium will invest US$831 million in the business over the next two years. Canada's national pension plan makes more than it currently pays out in benefits, and the CPPIB invests the excess money. At the end of June, the fund totalled $268.6 billion. Homeplus is facing criminal and civil lawsuits in South Korea after company executives including CEO Do Sung-hwan were indicted in February for selling the personal data of millions of customers to insurance companies for marketing purposes. This deal represents the first major deal between CPPIB and PSP ever since André Bourbonnais left the former organization to head the latter one. Why buy a South Korean grocer from Tescco for around US$6 billion? Why not? CPPIB likes investing 'Gangnam style' and South Korea is Asia's fourth largest economy with stable long-term growth prospects. The won rose, erasing an earlier decline to a five-year low, as South Korea’s government unveiled a record spending plan for next year to boost growth in Asia’s fourth-largest economy. The Finance Ministry on Tuesday proposed a 386.7 trillion won ($322 billion) budget for 2016, which is 2 trillion won more than this year’s. The announcement comes before Friday’s monetary policy review, at which the Bank of Korea is forecast to refrain from cutting its benchmark rate from a record low of 1.50 percent, according to 16 of 18 analysts surveyed by Bloomberg. The won advanced 0.3 percent to 1,200.72 a dollar as of the 3 p.m. close in Seoul, data compiled by Bloomberg show. It dropped to 1,208.72 earlier Tuesday, the weakest since July 2010, and has lost 1.5 percent this month. 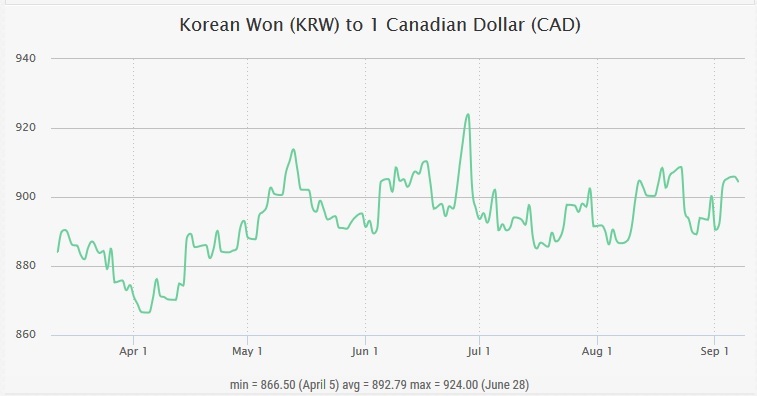 "There is some profit-taking" in the dollar versus the won, said Patrick Bennett, a strategist at Canadian Imperial Bank of Commerce in Hong Kong. "With monetary policy having done almost all it can do, it’s incumbent on the government to look at what they can do fiscally. It’s a positive for the economy." South Korea’s exports have deteriorated amid a global economic slowdown, Trade Minister Yoon Sang Jick said in prepared comments released by the ministry on Monday after the country last week reported that shipments in August fell the most since 2009. Government bonds fell, with the yield on securities due June 2025 rising one basis point to 2.24 percent, Korea Exchange prices show. The three-year yield climbed two basis points to 1.67 percent. We'll see whether the South Korean government's record spending plan boosts growth but the point I'm making is given the huge depreciation in Asian currencies, now maybe the best time to invest in these markets, especially for long-term global pension funds like CPPIB and PSP Investments which like buying private market assets and keeping them for a very long time. Of course, Canadian pension funds have Canadian dollars and the loonie has been sinking along with oil prices over the last year. 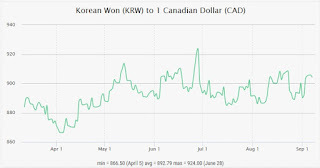 I've been short the loonie ever since December 2013 when Leo de Bever was warning that oil prices are heading much lower but even he was caught off guard by the magnitude and speed of the drop. Private equity is now doubling down on energy but if Pierre Andurand is right, the slump in oil prices could last a longer than most analysts expect. So I don't think currency considerations were a big factor behind this deal and they typically aren't as pension funds invest over a very long investment horizon. Still, when investing in foreign assets, Canadian pension funds do take significant currency risks. Interestingly, while CPPIB and PSP Investments are very similar funds, they take a different approach to currency hedging. PSP follows many other large Canadian plans and hedges currency risk (50% hedge ratio) whereas CPPIB doesn't hedge foreign currency risk. This year’s total Fund and absolute and relative returns demonstrate the benefits of a resilient portfolio that is broadly diversified across geographies and a mix of public and private asset classes. All of our investment departments generated significant investment income and dollar value-add. CPPIB’s strong returns in fiscal 2015 are great news, as the income that the fund earned will continue to compound – however, we cannot place too much significance on our results in any given fiscal year. The CPP is designed to be exceptionally long-term in nature and that means we can afford to take on more risk (i.e. volatility in short-term returns) in order to achieve a higher long-term return. Our extraordinarily long investment horizon combined with the unique nature of the CPP simply allows us to invest differently from many other institutional investors. A case in point is our view on currency hedging, which we describe on page 26 of the F2015 Annual Report. Many pension funds use substantial currency hedging to stabilize the values of their international assets in Canadian dollar terms. In comparison, for the most part, we do not hedge foreign currency holdings to the Canadian dollar. As a result we must tolerate significant impacts on our financial results in any given year due to currency gains/losses. For example, in fiscal 2010 alone the Fund experienced losses of $10.1 billion in the Canadian dollar value of our foreign holdings, however since fiscal 2010 we have realized gains of $16.1 billion, including $7.8 billion this year. Hedging to manage short-term results has a material financial cost with no expected benefit over the long term. Our portfolio is highly resilient, but as an exceptionally long-term investor we cannot and should not escape exposure to general market movements. We have every reason to believe that the Fund will experience future shocks resulting in downward pressure, yet given our long investment horizon we can tolerate considerable negative short-term returns in continued pursuit of higher long-term returns. Thus, in the same way that we temper our enthusiasm for this year’s exceptional performance, we also do not let negative returns in any given period side-track our attention from our long-term strategy. The best measure of our performance is longer term and we must continue to focus on 10-plus year results. While we can debate the merits of currency hedging at large Canadian pension funds, we can't debate the focus on performance must be on the long-term. This is why I ignore short-term performance reports highlighting trouble at Canada's biggest pensions because they're utterly meaningless. 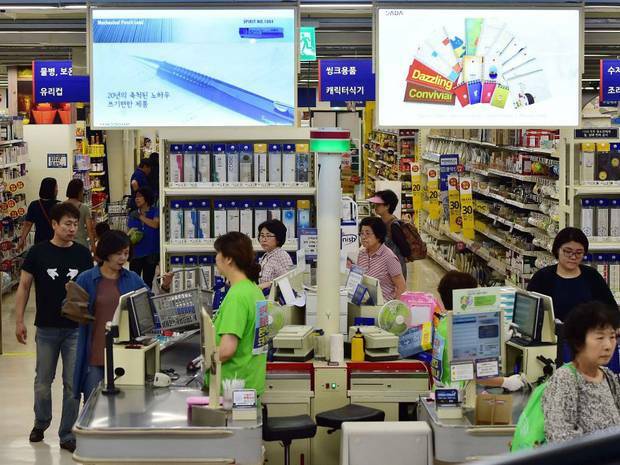 The Fair Trade Commission on Monday fined discount hypermarket chain Homeplus 435 million won ($405,065) for collecting and selling the personal information of its customers to insurance companies. The state-controlled antitrust watchdog said the nation’s second-largest retailer violated the Fair Labeling and Advertising Act. The FTC said that when Homeplus advertised drawing events, it failed to clearly notify participants that their personal information would be provided to insurance companies for use in marketing. For instance, to mark Korea’s participation in the FIFA World Cup last May and June, the retailer distributed coupons for a drawing to give away a Hyundai Genesis sedan. Participants were required to provide their names, birth dates, gender, telephone numbers, mobile numbers, number of children and signatures. They also were asked to check two boxes permitting their information to be used by insurance companies, but the FTC said the fine print was too difficult to read. The FTC’s fine came after the prosecution indicted six former and current Homeplus executives in February for violating the Personal Information Protection Act. According to the prosecution, executives received 14.8 billion won from selling information for about 7 million people to seven insurance companies. In addition, they sold information on about 2.9 million registered members of Homeplus for a total of 8.3 billion won. I guess this matter is now close to being settled and there's no doubt in my mind that it was part of the legal due diligence at CPPIB and PSP. But one thing this case proves to me is that unlike many other countries, South Korea takes consumer privacy issues very seriously and it has government watchdogs to enforce its consumer protection laws. Canada Pension Plan Investment Board (“CPPIB”) today announced that it has signed an agreement to acquire a stake of approximately 21.5% in Homeplus, Tesco’s South Korean business, for US$534 million. CPPIB made this acquisition as part of a consortium led by MBK Partners. The total transaction value is approximately US$6 billion. Operating in South Korea since 1999, and with more than 1,000 retail outlets across the country, Homeplus is one of the largest multi-channel retailers in Korea and the number two player in both hypermarkets and supermarkets. CPPIB has been investing in South Korea since 2008 and it remains a key investment market for CPPIB in Asia. The buyer, Asian private equity firm MBK, is understood to have beaten two other bidding groups - Affinity Equity Partners (which was working with US giant KKR), and Carlyle Group - to snap up Homeplus, once considered the jewel in Tesco's crown. MBK, which a led a consortium that included South Korea’s National Pension Service, the Canada Pension Plan and Singapore’s Temasek, will pay just over £4 billion before tax and other transaction costs, Tesco said in a statement. Overall the deal gives Homeplus an enterprise value of £4.2 billion, it added. The sale is part of a turnaround plan masterminded by Tesco chief executive Dave Lewis. He took the helm a year ago after the grocer was hit by a £263 million accounting scandal and began urgent efforts to restore the company's balance sheet. HSBC acted as the lead financial adviser on the transaction, while Barclays' investment bankers were financial advisers and sponsor to Tesco for the deal. Indeed, this deal will help Tesco reduce its net debt by as much as £3.35bn and it will provide CPPIB, PSP, South Korea’s National Pension Service and Singapore's Temasek with a stake in a solid company in the consumer staples industry which will provide these funds stable cash flows over a long investment horizon. Below, Britain's Tesco has agreed to sell its South Korean business to a group led by private equity firm MBK Partners for $6.1 billion. As Sara Hemrajani of Reuters reports, it's the retail giant's first major disposal since it hit financial difficulties and decided to focus on its troubled domestic business. If you have problems viewing this clip, click here. Also, South Korean news reports on the deal. "The purchase that marks the largest ever takeover deal in Korea comes as the British company suffers from falling sales and rising debt. Tesco is the latest global retail giant to pull out from Korea, following Walmart and Carrefour." Kind of makes you wonder why are these global retail giants pulling out of South Korea? Anyways, I trust MBK which a led the consortium on this deal, knows what it's doing and that over the long-run, this will prove a very successful deal for all parties involved.